ESD Test Environment ESS-801 - NOISE LABORATORY CO.,LTD. 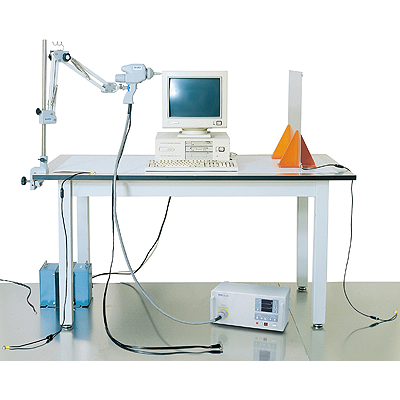 The Test Environment Model: ESS-801 is a test table and associated items used for discharge immunity tests for table-top type equipment in accordance with IEC 61000-4-2 standard. A complete package to easily build-up ESD test set-up for table-top equipment called for in the 61000-4-2 standard. 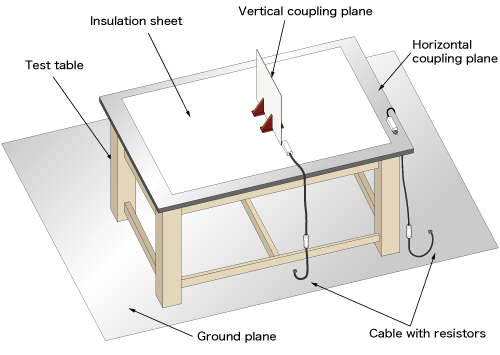 Wooden table minimizes the loss of energy produced by the simulator and the loss of high frequency electromagnetic field, resulting in excellent determination and reproducibility. It can also be used for other noise tests such as impulse noise tests.